Whenever I think of yellow, I think of bright sunny days; I think of the morning sun sneaking into my bedroom through the skinny spaces between my curtain panels, waking me up with a smile of gratitude. Based on the psychology of colours, it is believed that a person surrounded by yellow feels optimistic because the brain actually releases more serotonin (a feel-good chemical in the brain) when one is around this colour. Accordingly, yellow is associated with laughter, happiness, optimism and good times. While yellow is associated with mostly great emotions, it can, however, be an intimidating colour to wear. But this is all in the mind. 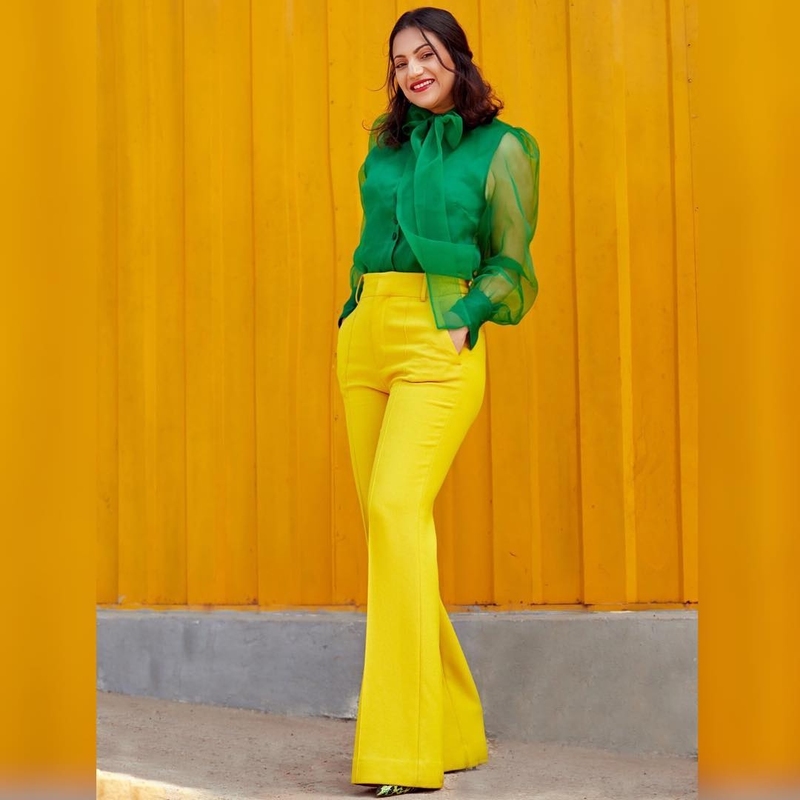 From neon yellow to a darker mustard shade, adding the right shade of yellow to your outfit will surely give it a pop and wearing a monochrome yellow attire is a definite way to steal all the attention. Style tip: When wearing yellow, be sure to keep the silhouette of the outfit simple and chic with neutral accessories as you don’t want to end up looking like a cartoon character. 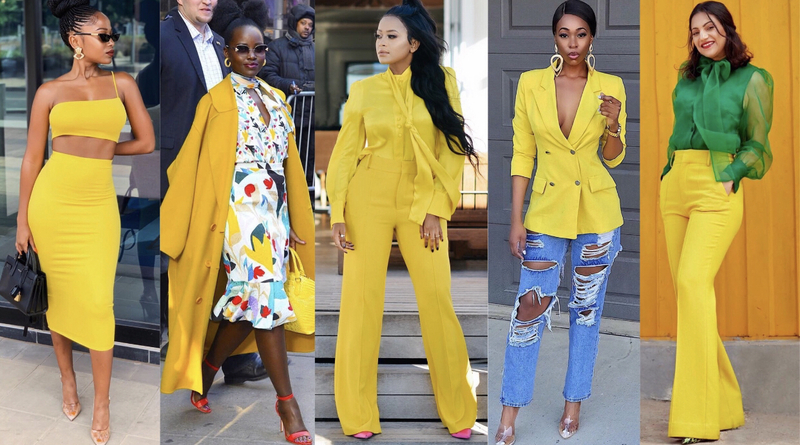 As a rule of thumb, the lighter your skin, the darker the shade and vice versa but this rule can be broken if you know how to contrast and balance yellow with other shades. Yellow goes well with ivory, black, green, cobalt blue and purple but it also goes well with many other colours. The trick is to keep one colour darker than the other. Need more reasons to add a pop of sunshine to your wardrobe? 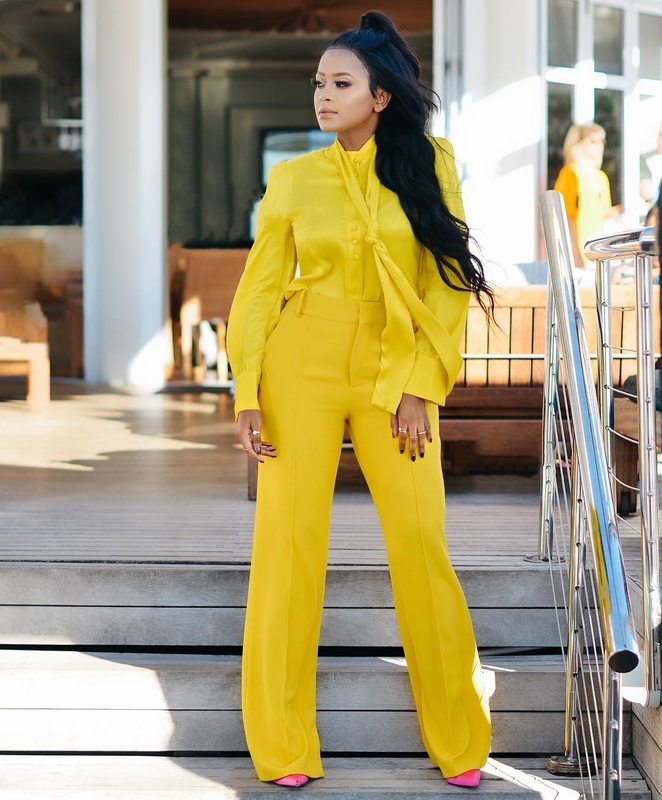 What are your takes on yellow outfits and how do you prefer to pair yours?